You might have heard about “seed” investment and series A, B and C funding, and wondered what it all means. These are the main ingredients of venture capital - the contribution of money to an innovative, forward-looking business, which does not yet have access to the market. The company’s development stage, the type of investor it is approaching and the reason for raising capital are factors which differentiate the rounds and their significance for the prospects and direction of the company. The subsidising round starts with the "seed capital" phase and follows with A, B and then C funding. This first stage usually allocates funds from the personal savings of the company’s owners, their friends or relatives. 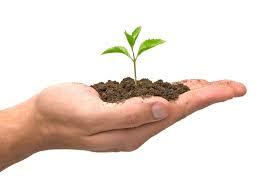 It is at this stage that the startup “plants the seed”. Capital raised in the seed stage can be anywhere between £200,000 and £2m, yet it differs broadly on a case by case premise. Seed capital is the financing required to kick-start a business and is usually spent on preliminary activities such as research, and the initial stages of product development. Other than friends and family, early-stage investors can also get involved, but with more risk attached to their investments. Once the startup gradually develops into a functioning business and starts to have a revenue stream, albeit not net profit, it will usually go through Series A round of financing. This stage is the first time a startup receives funding from a venture capital firm in return for a portion of the company’s ownership. The name implies the class of favoured stock sold to investors in return for their investment and usually involves the highest level of risk for the investor. The capital raised at this stage will go towards the salaries of the people involved and further market research and development. The next round in raising capital is Series B financing from venture capitalists, private equity investors and other institutional investors. It usually takes place when the company has accomplished certain milestones in building up its business and its product or service is already being sold in the market. The capital raised at this stage is necessary for the company to scale up. Use the Alexander Johnson tips in order to not put a foot wrong at this stage. Series C financing is the company’s third infusion of capital from outside sources. At this point, the business owners have persuaded investors and other financial specialists that they have a feasible business model and future investors are encouraged and reassured by the company’s long-term chances for success. Once the business arrives at this stage, is may decide to source more capital from future rounds but most companies choose to either go public, or become acquired by another firm. While the initial business owners give up more of their power to investors with each financing round by way of shares, their own shares become more valuable with each stage as the business grows. So while there are more partners and investors to be accountable to, the proprietors' total assets have grown fundamentally by the end of Series C financing. Find out more about investing on the Alexander Johnson Lochwood website page. You can also connect with Alexander Johnson Lochwood on Crunchbase here.